Publisher: Amazon Digital Services Inc.
Blurb: Chase, an uninspired twenty-three year old, trudges through his uneventful life taking for granted the everyday privileges of his human existence. He does not realize how great life is until he is killed in a tragic, freak accident and unwillingly transformed into a guardian angel. Ripped away from his life and loved ones, he now finds himself living in an unfamiliar world where fantasy becomes a reality. He must carry the heavy responsibilities of protecting his Delicate (mortal) from dangers unseen to the human eye. With the help of his two new guardian angel friends, Trevor and Rachel, Chase is taking his first steps on the long journey to eternal peace by becoming a dedicated guardian angel. But the road to eternal happiness is far from easy when Chase has to find his inner strength and courage to battle malicious demons, a deranged priest and a merciless fallen angel. Review: Recently, I’ve noticed a bit of an influx in the amount of books I read with angels in and due to this, I’ve noticed a lot of similarities between them and so when we were presented with the chance to read this book, I had a few expectations of what this would be like. They were all very wrong, in a very good way. 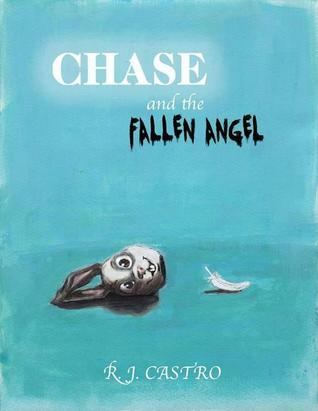 For one, as suggested by the blurb, this book follows the story of a twenty-three year old guy named Chase. While for the first part of the book he and his uninspired personality got on my nerves a bit, by the time the story got under way I absolutely loved him despite how he could sometimes be a little clueless and stubborn. This was also one of the biggest differences between this book and other angel books- I absolutely loved seeing this from a slightly older guy’s perspective in comparison to a teenage girl’s. The minor characters was amazing as well- Rachel and Alex were probably my absolute favourites, but I loved every single characters story. I also really liked the similarities and differences shown between the angels and the humans and how they still managed to interact. Another difference was the lack of romance in this book. Usually I enjoy a bit of romance (as long as it’s mixed with an actual plot) but I actually really liked the fact that there wasn’t really any romance between Chase and anyone else. This being said, there was still some romance surrounding the main character, which by the way was absolutely adorable (Kyle/Claire forever!!) This was definitely a nice breath of fresh air for me. The plot itself is amazing. At first I didn’t really know where it was going go (except for the whole angel thing) so I was a little worried but everything developed so nicely that I couldn’t help but enjoy it. The book is really long- a total of 510 pages to be exact, but I found that it just went so quickly and by the end I was desperately wishing there was another 500 pages to read (okay, maybe not that long). Given more solid blocks of time to read this in, I think I probably would have been able to finish it in a couple of days. Finally, I’d like to talk about the cover. While it’s really quite basic, it definitely drew me into the book even more. I know the severed rabbit head seems a little weird at first, but once you’ve read the story I promise you it’ll make perfect sense. If somehow the blurb or my review doesn’t manage to draw you into the story, you should read it just to find out what that cover is all about. I promise that you won’t be disappointed. Thank you to R.J. Castro who sent us a copy of his book to read and review.